Google recently introduced YouTube Red, the technology giant’s subscription service offering an ad-free YouTube experience. The service’s other major features include allowing you to enjoy downloaded content when not on the Internet and a background play function, which keeps the music going when you are busy with something else on your computer or mobile device. A monthly Red subscription costs $9.99, while new users can try out the service for one month for free. It also includes a Google Play Music subscription, giving you access to an enormous music library of over 30 million songs. If you already subscribe to Google Play Music, you get YouTube Red as well. 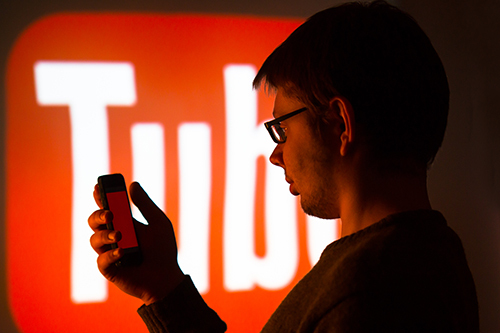 If you are an Android fan, YouTube Red may serve nicely as your major streaming service. Here’s a look at additional Red details. While in its current form, YouTube Red can’t compete from an original content standpoint with other services like Netflix or Amazon Prime; however, Google plans on introducing more exclusive premium shows on the service next year. This includes both episodic series and feature-length movies and videos. It is also a reasonable expectation the company will bid on sporting events in the future, like Yahoo did with the NFL earlier this season. Some of this premium content is expected to be available on the free version of YouTube after a period of time. Many entertainment industry pundits feel Red is Google’s attempt to become the new Netflix. If that’s the case, they have a lot of catching up to do when it comes to the breadth and depth of their content library. If you choose to subscribe, access is easy, you simply sign on to your Google account whenever you want to use YouTube — either in a browser or in an app. An ad free viewing experience follows. As always, perform a quick speed test to ensure your current bandwidth can handle video streaming. Are Service Subscriptions a Counter Move Against Ad Blockers? Many online media companies are feeling the pinch in advertising dollars, since more users are leveraging ad blockers for a better online experience. This is another one of Google’s strategies in introducing a subscription version of YouTube. Considering the company’s strong dependence on ad revenue, diversifying their income stream makes sense. On the other hand, Google needs to invest greatly in content licensing fees if it wants to compete on a level field with players like Netflix and Amazon Prime. Many users simply aren’t interested in paying a monthly fee for ad-free viewing of user created video content. Ultimately, it remains to be seen whether or not YouTube Red will become an essential part of anyone’s streaming media diet, or if it will go the way of Google Plus. Acquiring an exclusive license to some essential premium content is probably the service’s best bet for success in the long run.